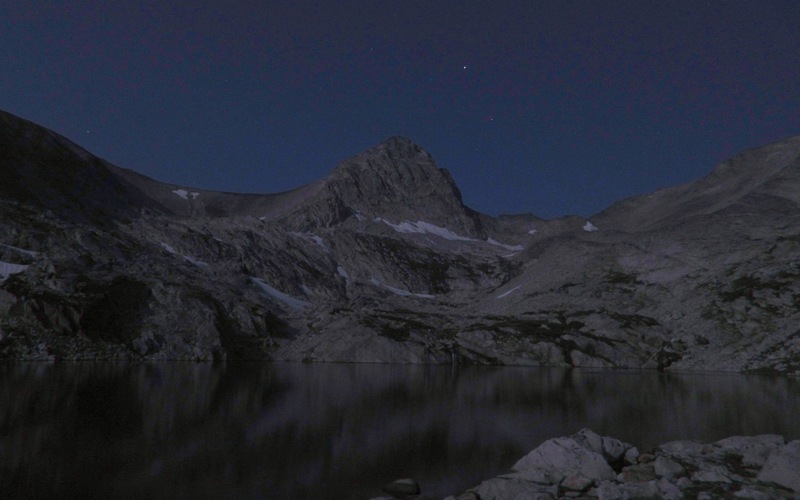 Most summers we attempt, or at least talk up attempting, a night ascent of Mt. Audubon. Some years, it’s amazing and beautiful. Some years, it’s horrific type-3 fun. The 2015 edition looked good in weather forecast, but less good in feet-on-the-trailhead conditions (moderate rain). Still, we’d driven all this way, I activated a show-the-flag Plan B and we saddled up for a short run up the Mitchell Lake trail to at least see what might happen. 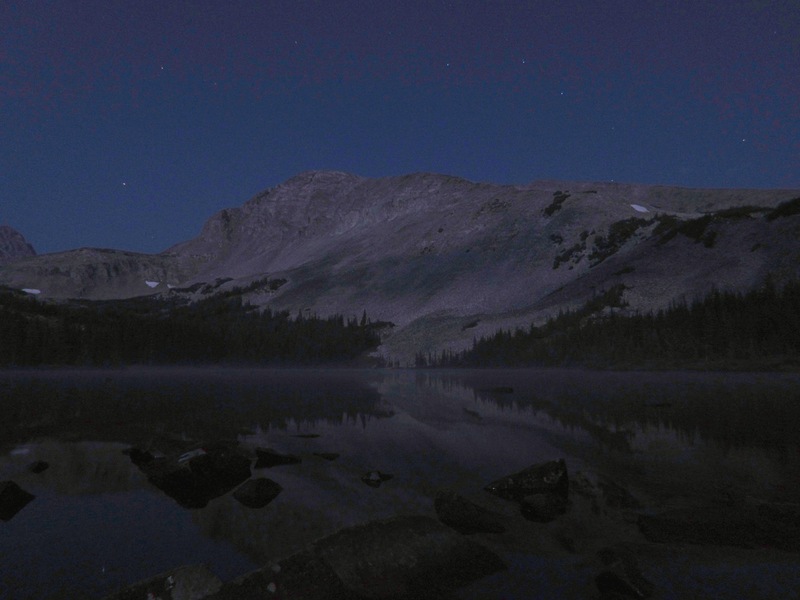 Mitchell Lake, Mt. Audubon, and Ursa Major (photo by Kate). 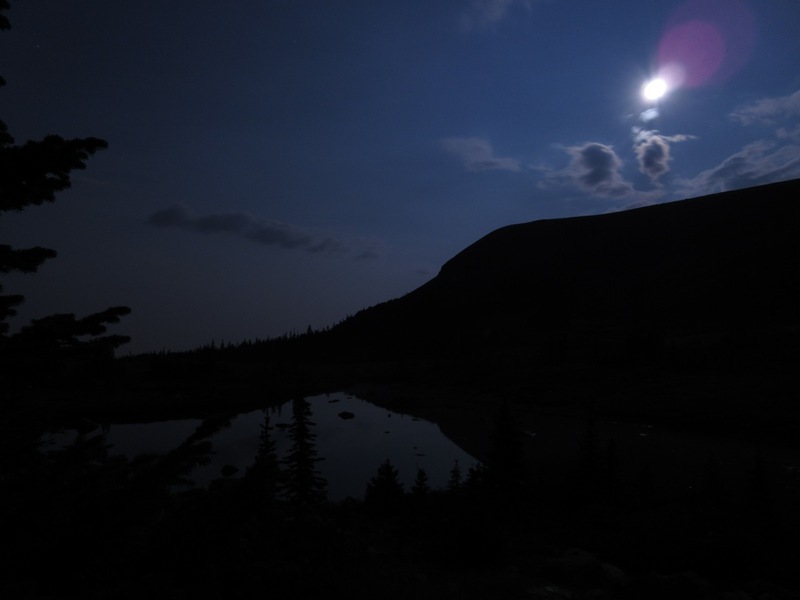 This entry was posted in night, running and tagged Blue Lake, Brainard Lake, Indian Peaks Wilderness, Mitchell Lake, Night Run. Bookmark the permalink.